These workshops provide an in depth study of each of the EFT steps. Each day will contain instruction and group supervision of EFT work according to the guidelines set out by the Centre for Excellence in EFT (in Ottawa). When you sign up for the course you are committing your intention to complete all training modules. There will be opportunity for participants to get feedback on videos of their own work with clients. Bringing your own video to view is necessary to meet the Advanced Externship requirement of certification. The only outstanding requirement for Certification after attending Core Skills Training is eight hours of individual supervision. The application process is described here. The decision regarding readiness for certification is determined by the EFT Centre in Ottawa. and supervisor Liliane Nahas, M.Ed., LPC, LMFT. Dr. Leanne Campbell, R. Psych. 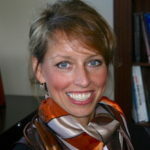 Dr. Leanne Campbell is a registered Psychologist, ICEEFT Certified EFT Therapist, Supervisor, and Trainer. She is co-founder and co-director of the Vancouver Island Centre for EFT, and Campbell & Fairweather Psychology Group in Nanaimo, B.C. From 1994-2004, Leanne worked as a Professor of Psychology at Vancouver Island University, and remains an affiliate of that institution. Prior to that, she was trained by Dr. Sue Johnson in the early 1990s, and was involved as a therapist in the early EFT studies aimed at establishing what is now the well-known efficacy of EFT. In her clinical practice currently, in addition to providing couple therapy, Leanne maintains an EFT/attachment focus in providing individual psychotherapy, primarily in the areas of grief and trauma, and conducting psychological assessments for a variety of populations (e.g., injured workers, veterans, first responders, motor vehicle collision survivors). She offers training and clinical supervision in EFT (and grief and trauma). 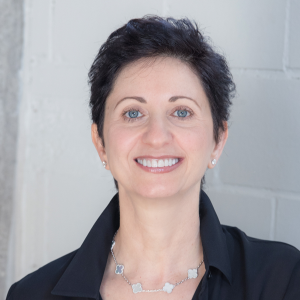 For more than a decade, Liliane Nahas has been helping clients understand themselves and their relationships. She is a certified EFT therapist and supervisor, the director of the Houston Community for EFT (HCEFT). She is also an LPC & LMFT supervisor in the state of Texas. Her practice in Houston is devoted to couples, individuals, and also to other therapists for EFT supervision. She consults with therapists, both in person or distance via a phone or meeting rooms in the US and outside the US. She also provides regular introductory workshops in EFT for therapists and assists at EFT trainings for therapists. Location: Houston Community College - Southeast College, Learning Hub, Art Gallery Room 216, 6815 Rustic Street, Houston 77087. CEUs: $30 for one CEU certificate of 48 hours upon completing the course. Commitment: When you sign up for Core Skills Series, you are committing to attend all four modules. Lodging and food not included. A minimum of 12 participants is required for the training to proceed. Payment can be made online or by mail. You will do one case presentation displaying your work with a couple for consultation and feedback about working in the EFT model. The date of your presentation will be assigned. The overall presentation is approximately 30 minutes, 10 minutes of case overview and up to 20 minutes of video review. To get updates & reminders Click here.